This tunic is inspired on the mythological Elven Kingdom. It is perfect for LARPing Elfs and Dark Elf characters. The neckline gives the tunic an extra stylish character. 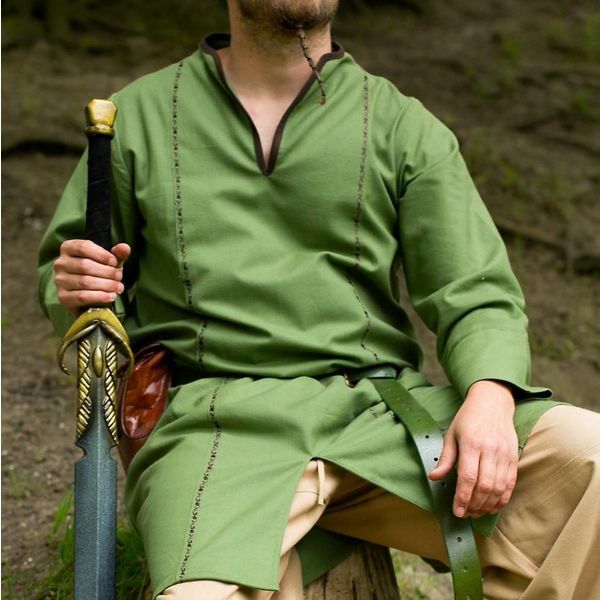 The seams are embroidered with motifs inspired by the elves from the Lord of the Rings and the Hobbit. 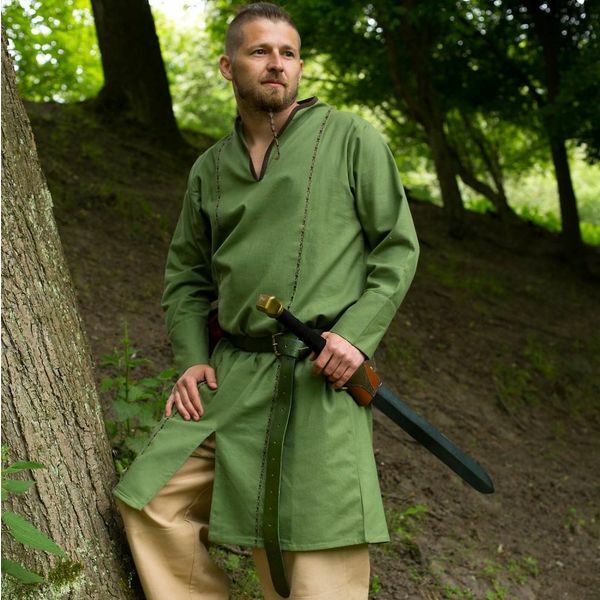 This tunic is perfect to combine with elven swords and shields or with a bow.